On May 31, 2015 Roy Mulder (MLSS president), Glen Dennison (MLSS director), Adam Taylor (UCBC president & MLSS director) and photographer Diane Reid dove on the Defence Island Bioherm to take photographs for the Vancouver Aquarium sponge research program. In support, were helmsman Alex Askew and divers Dave Park and Paul Sim. The crew was grouped into two teams to shoot as many photos and minutes of video as possible in the sponge reefs. Weather was good with light morning winds and sunny skies, perfect conditions for diving. Team 1 was lead by pathfinder diver Dave Park, who first descended into turquoise green water. 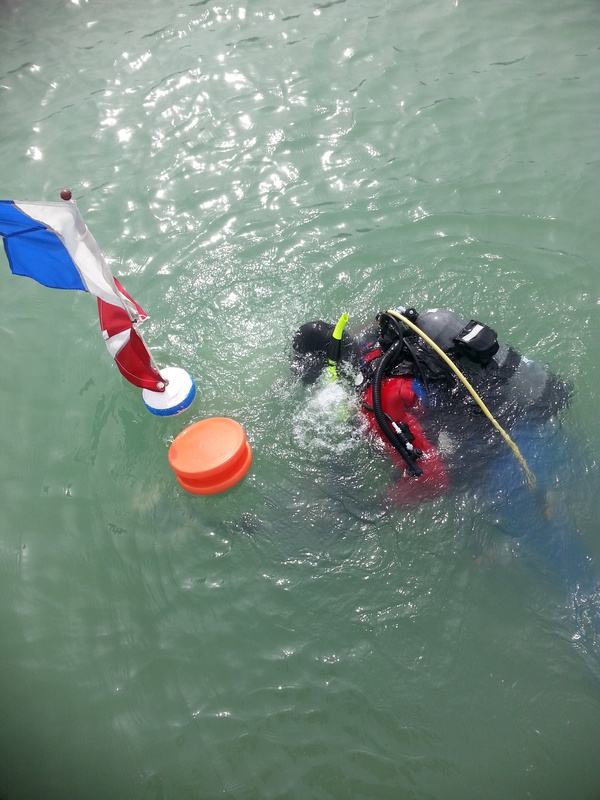 Team 2 consisted of Adam Taylor, Paul Sim and Glen Dennison, who prepared for diving as team 1 covered the site, imaging it from one end to the other. After team 1 surfaced, team 2 headed down to the sponge reef. Hundreds of pictures and 40 minutes of video was the result of a days work under the ocean. Sadly an area of damage was discovered, where a down-rigger line had severed the sponge from crown head to lower base (see video below). This area of damage will be studied by Vancouver Aquarium divers and monitored to see if recovery is possible. The bioherm is also a site of a temperature logger.